Check in folders have modified with some regularity throughout the forty-plus years that Walt Disney World has been welcoming guests to its property. Each resort’s folder, specifically those resorts that have been present since 1971, had its own unique style for a majority of its time in the Vacation Kingdom. 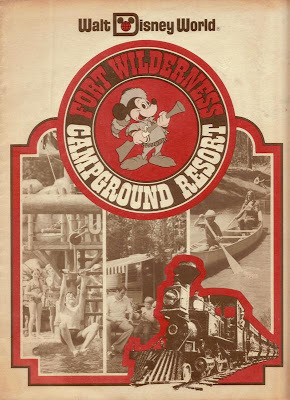 My obvious bias is for the folders of Fort Wilderness, like this beauty from 1979. 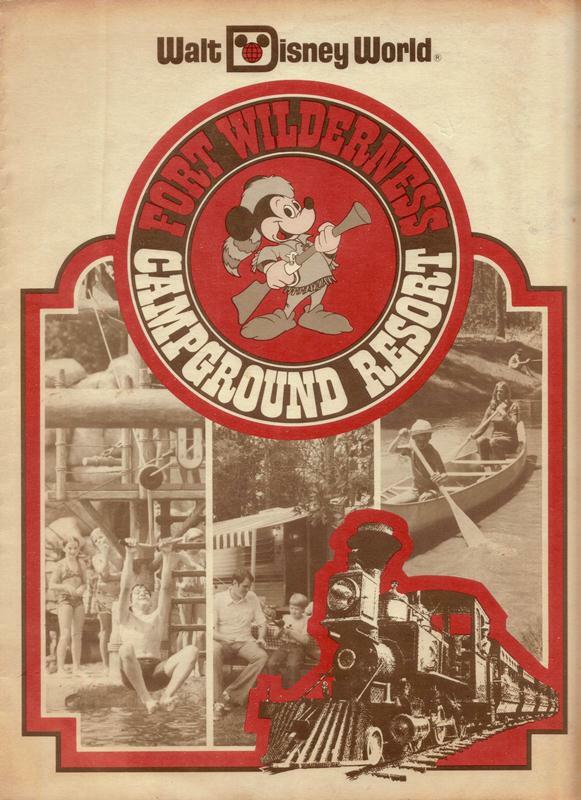 The cover featured the Davy Crockett clad Mickey Mouse, complete with musket, an RV campsite, recreational canoeing, the zipline from River Country, and the Fort Wilderness Railroad that would have only been sparsely utilized after 1977. The back features a map of the entire resort, as well as an inset map of the Walt Disney World property. Meanwhile, the interior of the folder featured information on dining, shopping, comfort stations, recreation, nighttime activities, including the campfire, Marshmallow Marsh and the Electrical Water Pageant, as well as a bevy of other informative tidbits. Some of the material covered can seem a bit out of place, especially given the upbeat or positive slant it is presented in, but it’s always fun looking back. Take, for instance, the section on Plant Life. Plant Life: Please help us preserve the natural beauty of our trees, shrubs, flowers and other plant life. Also, please be cautioned that not even Fort Wilderness Resort is exempt from a little poison ivy. I don’t know about you, but there are not many things I can think of that could ruin a vacation in Walt Disney World quicker than ‘a little poison ivy.’ Leave it to Walt Disney World, however, to make a painful rash sound like a potentially innocuous souvenir. The words and images of early Walt Disney World and Fort Wilderness Campground Resort will live in my heart forever and will always make me smile. I once got a rash when I was a kid from rolling down the hill at the Poly. I can confirm that a plant-related rash is NOT something you want to get on a Disney vacation! Love the old check in folders, I wish they'd bring them back, a bit like the resort specific mugs! Every-things gone too 'generic' and 'same-y' over the years! I remember going on The Marshmallow Marsh! It was a night canoe trip followed by a campfire with marshmallow roasting. And I think we also got to watch The Electrical Water Pageant from our own spot too. I wish they still had this event, it was fun!